For the last year or two, Sesame Street Live has added a bonus Play Zone, which is basically a variety of different Sesame Street themed photo opps. Though there was some pushing and shoving as a massive group of adults tried to simultaneously take perfect pictures of their children in Big Bird’s nest, in Zoe’s Dance Studio and cute cutouts of many of the other characters, all of the children seemed to having a blast and were blissfully unaware of the shenanigans of their folks. We lasted out there a bit, and then my kids were too excited to wait any longer to enter the theater. This year the theme of the show is Elmo’s Super Heroes . The storyline is really sweet–Super Grover seems to have lost his super-ness , so his friends take over his missions from super commander The Big Cheese. Together, The Fabulous 5: Captain Fuzzy (Elmo), Glitter Girl (Abby), Wonder Zoe and Rock Rock (Zoe and pet rock Rocko) and Triangle Boy (Telly) use their super prowess (with the help of super helper Kay, the token non-costumed actor) to solve 5 problems and teach healthy lifestyle habits. At the end, having learned about nutrition, rest, hygiene habits and exercise, they are able to use their knowledge to reinstate Grover’s super-ness. The Fabulous 5 can’t be beat! As we added the new Sesame Street Live CD to our collection, I have a feeling that that cheer will be ingrained on my family’s memory for quite a while to come! 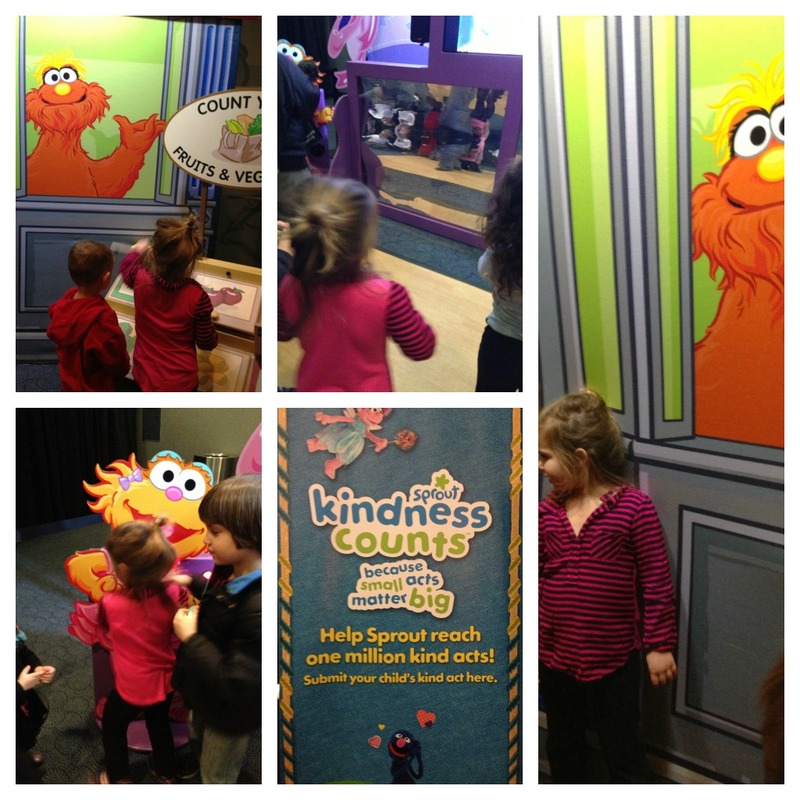 This entry was posted in Discount Codes, Education, Misc., NY and tagged elmo's super heroes, sesame street live by jessica. Bookmark the permalink.